Hot Stuff. Fans of Dell's efficient XPS series might once again get their money's worth - Dell now offers the Studio XPS 16 with an efficient ATI Mobility Radeon HD4670 graphic card. In comparison to the new Studio XPS range's configuration at its launch, it promises a great performance boost. The following review will unveil how the interplay of performance, emissions and battery life works out. Dell's Studio XPS 16 added a level of class to their Studio lineup and it continues to do so. Also back are the high color LED backlit displays that are some of the finest in the market. The Core i7 quad core processor adds additional performance. The problem is that many other elements have not been upgraded including a graphics processor many games may be disappointed with and a tendency to run a bit too warm compared to the competition. ATI Mobility Radeon HD 4670: Higher clocked version of the Mobilty HD 4650. Supports the Avivo HD technology. The performance of the cards depends on the used type of memory (DDR2, DDR3, GDDR3 possible) and should lie somewhere between the desktop HD 4650 and 4670. Non demanding games should be playable with these graphics cards. » Further information can be found in our Comparison of Mobile Graphics Cards and the corresponding Benchmark List. 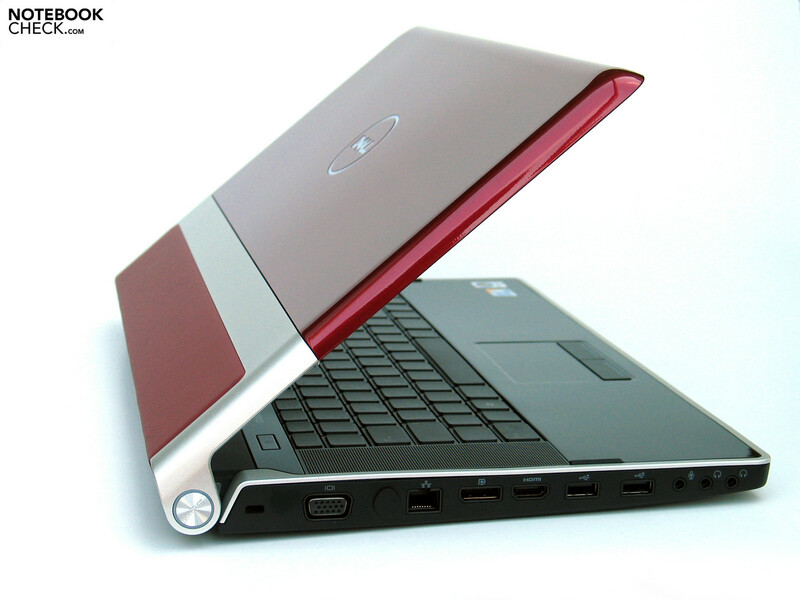 P9700: Very fast dual core CPU and due to the 28 Watt TDP also power efficient. Compared to other P-models, the P9700 offers the full 6MB level 2 cache.» Further information can be found in our Comparison of Mobile Processsors. 77.33%: This rating is not convincing. The laptop is evaluated below average, this is not really a recommendation for purchase.